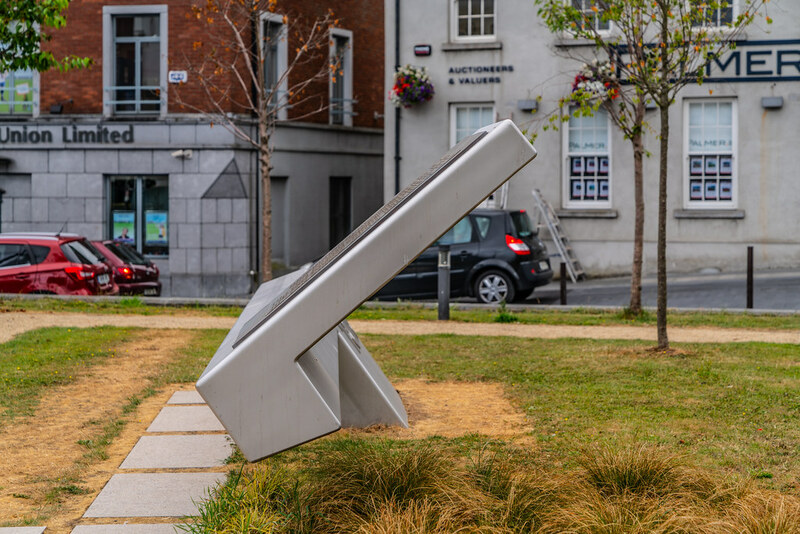 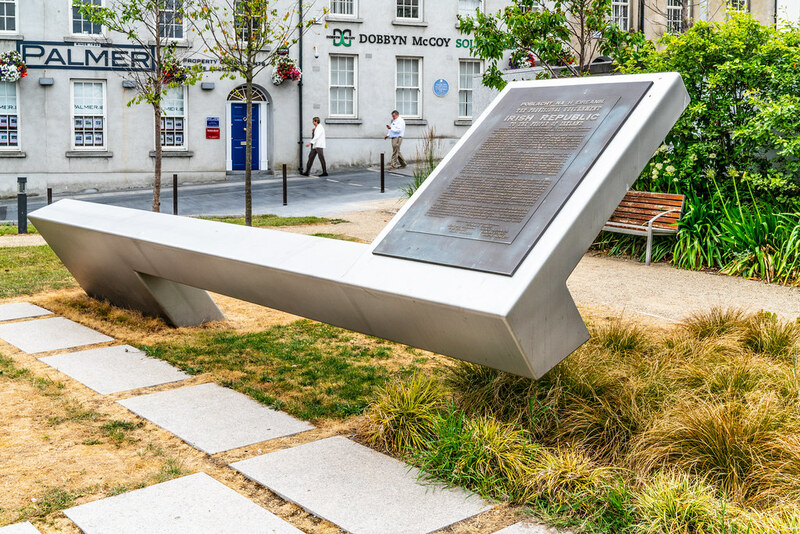 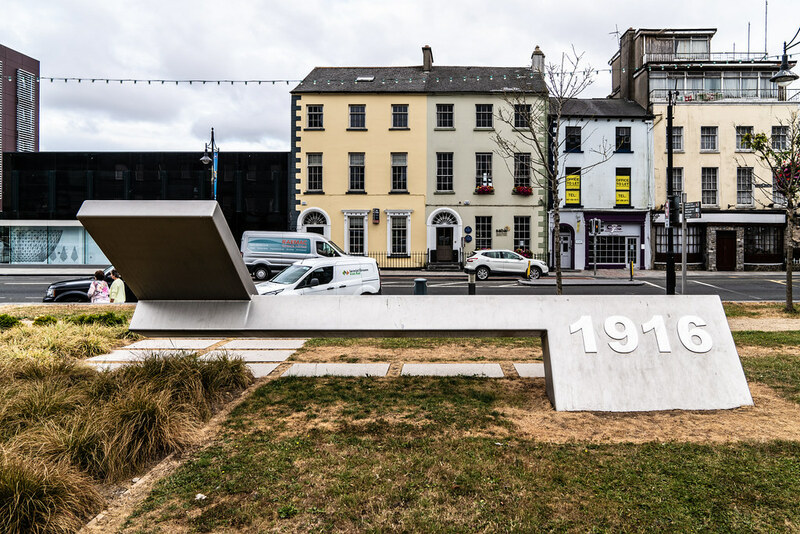 The Waterford City memorial is in front of the Bishop’s Palace on the Mall and comprises a cantilevered stainless steel structure presenting the proclamation to the interested visitor. 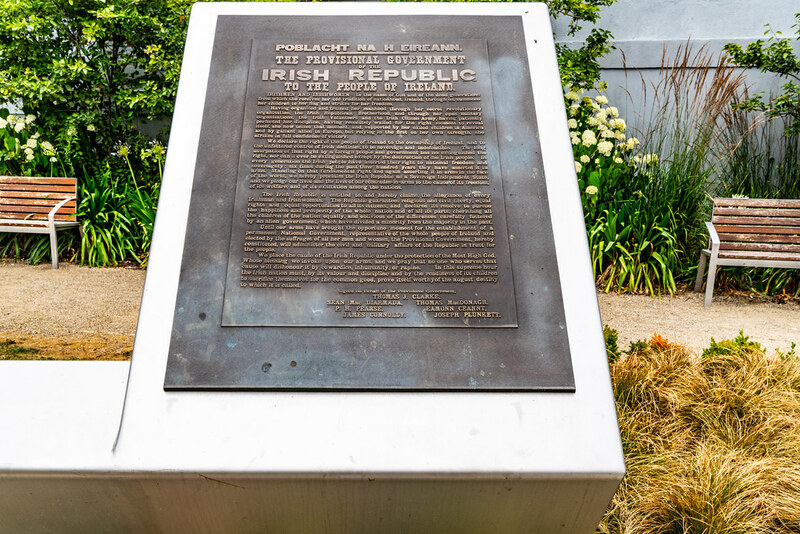 The memorial presents a bronze replica of the Proclamation complete with original variations in typeset. 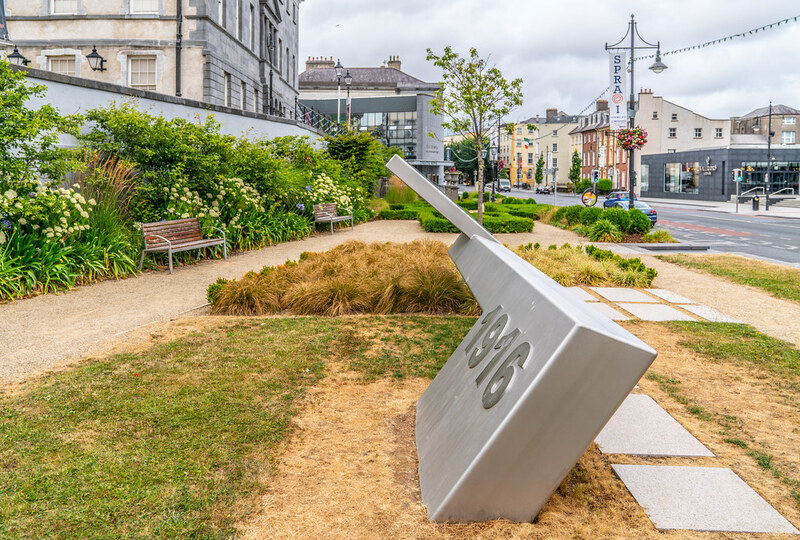 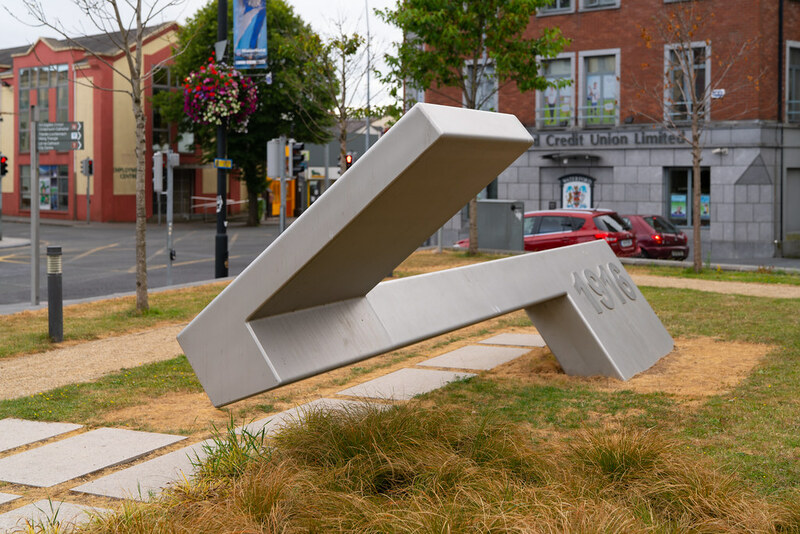 The proclamation was cast in a Foundry in Brittany in France that has produced previously commended work in Waterford such as the 3d models of the Viking Triangle and the bronze sculptures of Strongbow and Aoife.